Description: Digitization provided by the USF Libraries Digitization Center. Rare Maps. 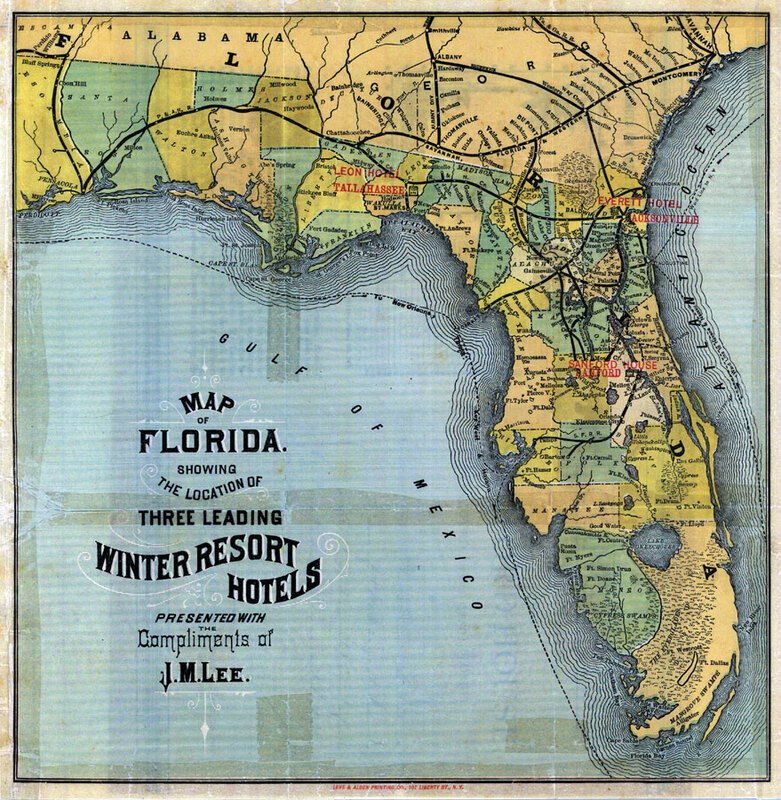 This is a map of Florida showing the location of three leading winter resorts circa 1885. They are in Sanford, Jacksonville and Tallahassee. "Presented with the compliments of J.M. Lee." From a brochure advertising the Sanford House in Sanford, Florida. Brochure in pocket attached to map. Measurements.Dimensions: 28 x 28 cm., on sheet 30 x 29 cm.